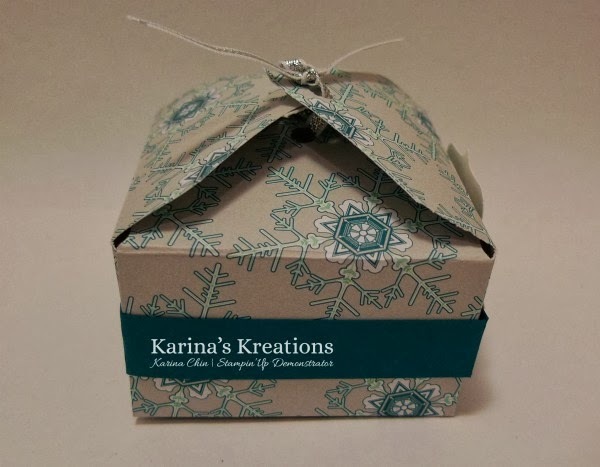 Karina's Kreations: Stampin'Up Envelope Punch Board Box with a Video! Stampin'Up Envelope Punch Board Box with a Video! I made a video for you showing how quick and easy it is to make a box using the envelope punch board. I made a new sample for you since Benji ate my last one!!!! I used Winter Specialty Designer Series Paper, Tags for You stamp set, Label Bracket Punch, Silver 1/8" Ribbon and a Rhine stone Jewel. Click here to order your supplies for this fun project!